Road ready with Live To Ride® embroidered patches already sewn in place, the Diamond Plate™ Rock Design Genuine Buffalo Leather Biker Vest will set you apart from the crowd. Features black snaps, lace up sides, and two front pockets. 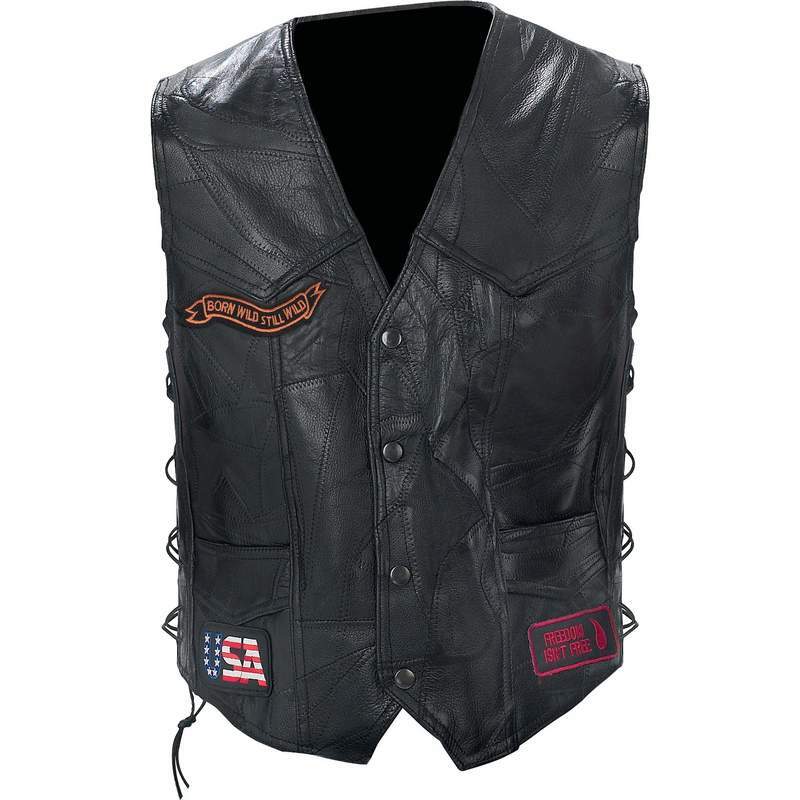 Patches on the front of vest read: BORN WILD STILL WILD, FREEDOM ISN&apos;T FREE, and USA. Back patches read: THESE COLORS DON&apos;T RUN, LOUD PIPES SAVE LIVES, ROUTE 66, and RIDE FREE. Large golden eagle patch also featured on vest back. Actual designs may vary slightly from photograph.